This tour is a state of the art multimedia sightseeing tour of Hollywood and Beverly Hills. We travel in a luxurious Mercedes Benz Sprinter equipped with a 32" HDTV flat screen monitor and high end audio. 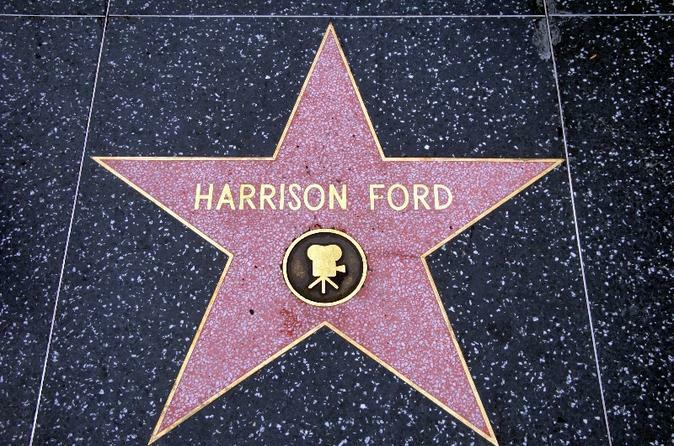 Our tour focuses on Hollywood's legendary stars, past and present. Stars from all sectors of the entertainment world will be featured with a montage of film clips, theme songs, locations, photographs, stories, history, sound effects and more. Our emphasis is on television tales, movie moments and musical memories. Join us for a unique and exciting tour of Los Angeles, Hollywood and Beverly Hills. View relevant clips and photos while traveling by actual filming locations and city landmarks such as downtown Los Angeles and The Historic Victorian Homes at Angelino Height. Next, take a short stop at Mulholland Drive. Then enjoy a 30-minutes stop at Hollywood Blvd before cruising along Sunset Strip. See what behind the gates and bushes of celebrity homes in Beverly Hills. Fun facts, trivia, history amd more orchastrated and narrated live entertainment by a friendly professional tour guide. Travel in a Mercedes Benz Sprinter equipped with flat screen TV monitors and a nie stereo system. On this tour, it's not just what you see, it's how you see it!